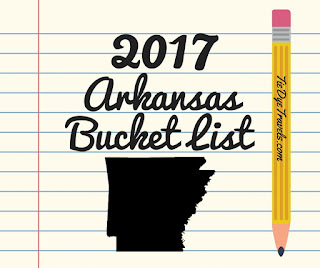 The Arkansas Bucket List - 8 Must-Take Trips for 2017. Looking for your next great Arkansas experience? 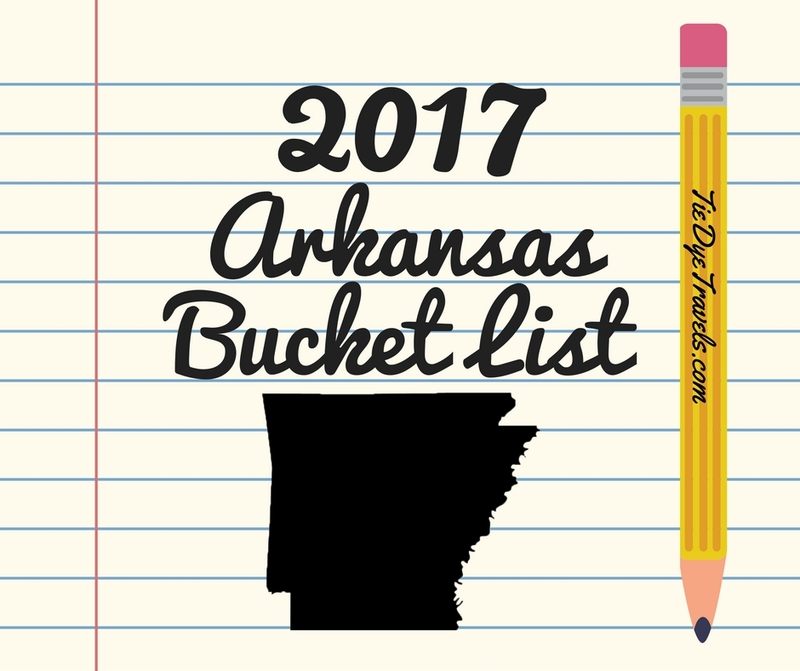 In 2017, there are a lot of new options to check out all over The Natural State. Here are the new experiences you may want to try. Smile Bull's Sweet Surprises Seem Serendipitously Smart. 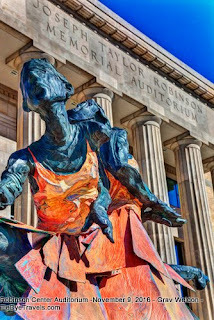 Fort Smith is full of culinary gems, restaurants that offer great value and great flavor. Smile Bull does a fantastic job of living up to the city standard with an array of Asian favorites and homegrown surprises. 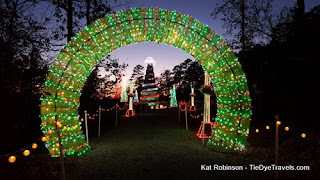 Holidays Alight at Night in Arkansas. This time of year, The Natural State is illuminated with fantastic shows of light from one corner to another. Want to see my favorites? Check this out. 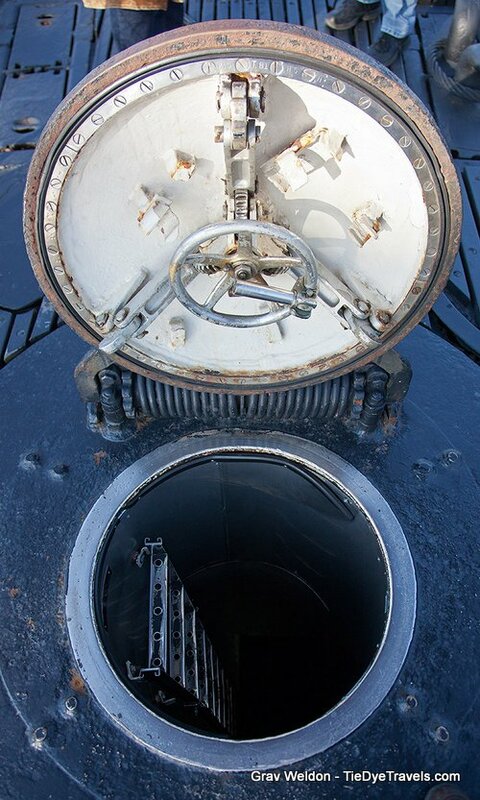 Take a Tour of the USS Razorback, A Fantastic Submarine. Arguably the longest-serving submarine still existing in the world, having been commissioned by two different countries for 57 years of active duty, the U.S.S Razorback's permanent home is not on or in the sea but by the banks of the Arkansas River in North Little Rock. Let's venture out to the Arkansas Inland Maritime Museum and explore within this nifty submarine. 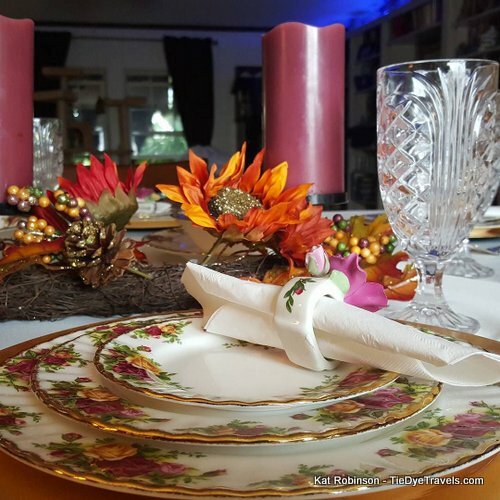 What is the quintessential Arkansas Thanksgiving dinner? That's like asking what's your favorite type of gift... there are so many choices. 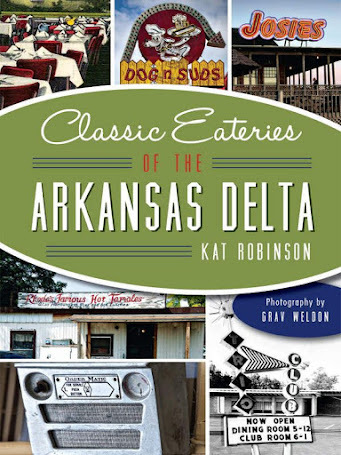 From the Delta to the Ozarks, there are just some things that come to everyone's table. Here are the items that make a spectacular Thanksgiving - including plenty of options on where to get each item. Labels: Arkansas food, Arkansas ham, Arkansas Thanksgiving, smoked turkeys, Thanksgiving, Thanksgiving recipes, What is served in Arkansas at Thanksgiving? 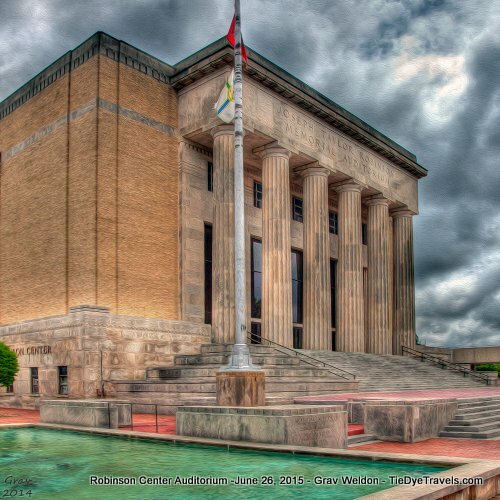 A Top To Bottom Tour of Robinson Center, Second Act. Explore the newly reopened Robinson Center Music Hall and Conference Center in this special sneak peek. What changed? As Robinson Center reopens with a newly designed auditorium, lobby, dressing rooms and an entirely new conference center, look through these images taken the last day the unrenovated space was opened to the public. Taco Pronto is 47 Years Old and Now I've Tried It. 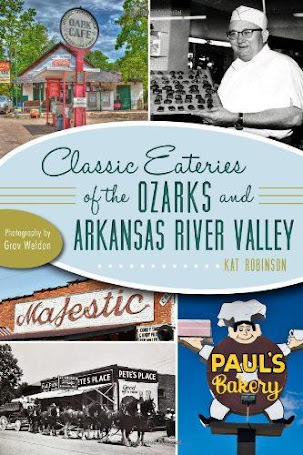 Sometime the research I do in my never-ending quest to chronicle Arkansas food is fantastic. Sometimes it's not. And sometimes I get mixed results. That seems to be the verdict on Taco Pronto, a Hot Spring mainstay serving up quick, cheap eats since 1969. 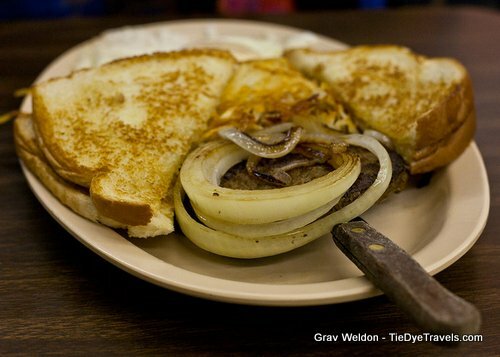 Elaine's Delta Grill - You Have To Go There To Get There. There are out-of-the-way places we sometimes find by taking a side route or turning off the interstate. 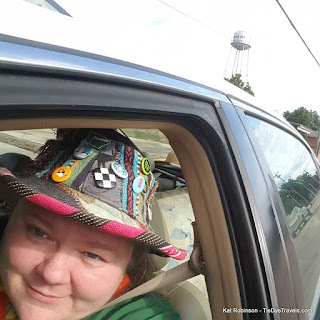 But Elaine's position between the Mississippi and Arkansas Rivers south of Barton makes it one place you can't just end up at, not without some sort of intent. What I didn't expect to find was a classic restaurant. Rhoda's Famous Hot Tamales and Pies Are Worthy of a Pilgrimage to Lake Village. 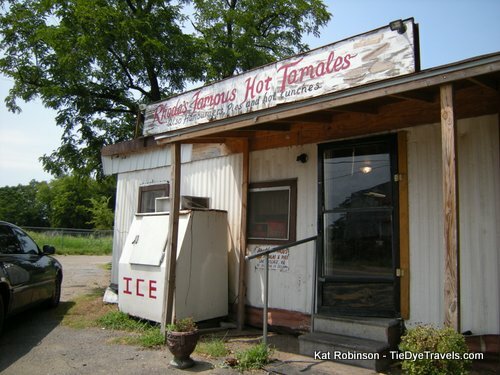 There’s been many a time I ended up on the doorstep of Rhoda Adams, the proprietress of a local establishment in Lake Village known as Rhoda’s Famous Hot Tamales. She and her husband James run this place on St. Mary’s Street, and you can smell it a block away, the smell of spices and fried things luring you off Highway 65 if you let it. If you don’t roll down your windows and never leave the highway, you’ll never find it. 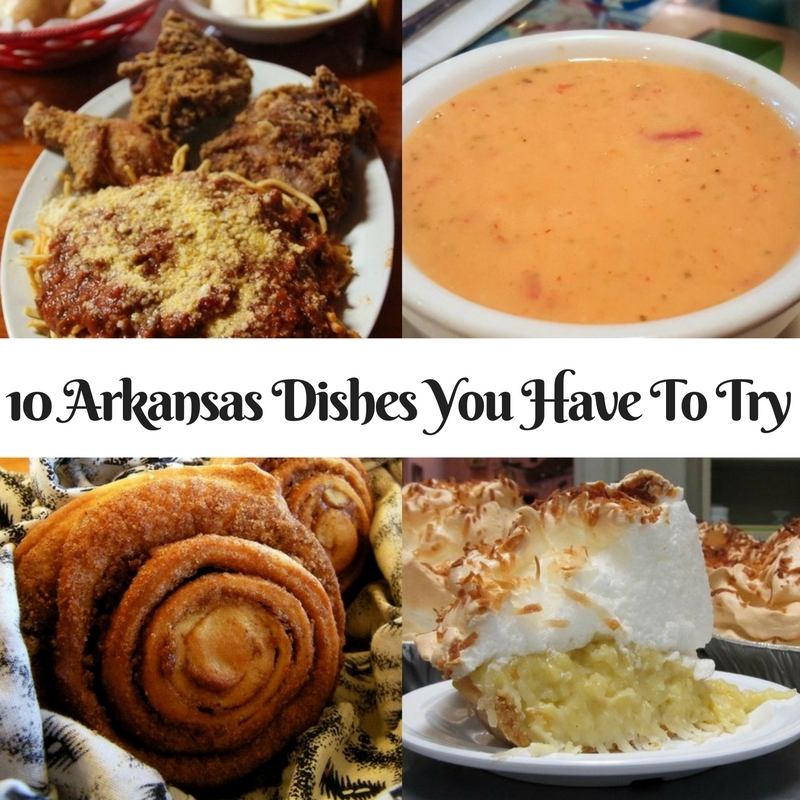 10 Arkansas Dishes You Have To Try (and 11 More to Satisfy Your Natural State Cravings). 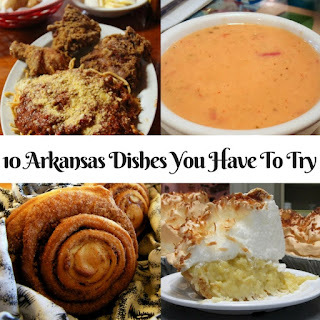 Arkansas food is starting to gain recognition outside of our state. But what dishes best showcase our unique cuisine? Here are ten dishes you absolutely have to try. Fornetti European Bakery, Pastries in Unexpected Places. You're not going to believe where I found this. Not for a moment. But you'll be glad it's here in Arkansas. The 2016 Arkansas State Fair Food Guide. Looking for those crazy eats and favorite treats on the fairgrounds? 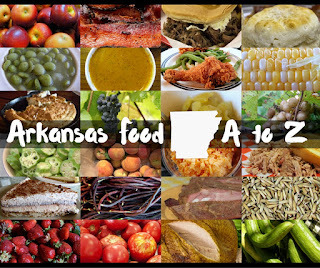 Here it is - your encyclopedic, alphabetically arranged listing of all the food you can find at the Arkansas State Fair, updated throughout the event. Here you'll find the foods, where they're located on the fairgrounds, how much they cost and more. 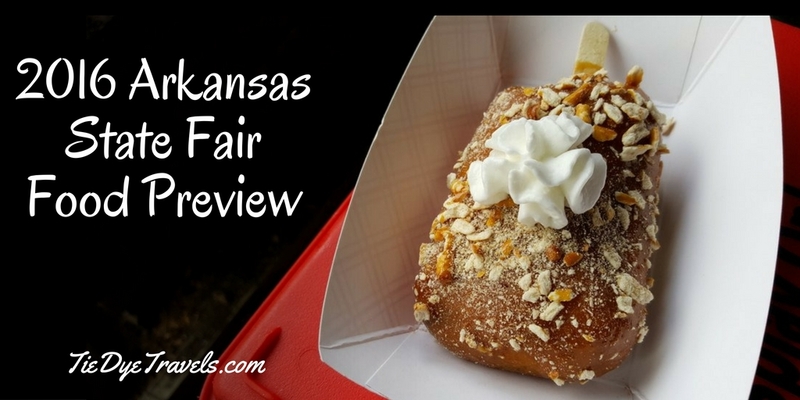 The 2016 Arkansas State Fair Food Preview. Each and every year, Grav and I make the ultimate sacrifice and try all the new fair foods for you. This year is no different. 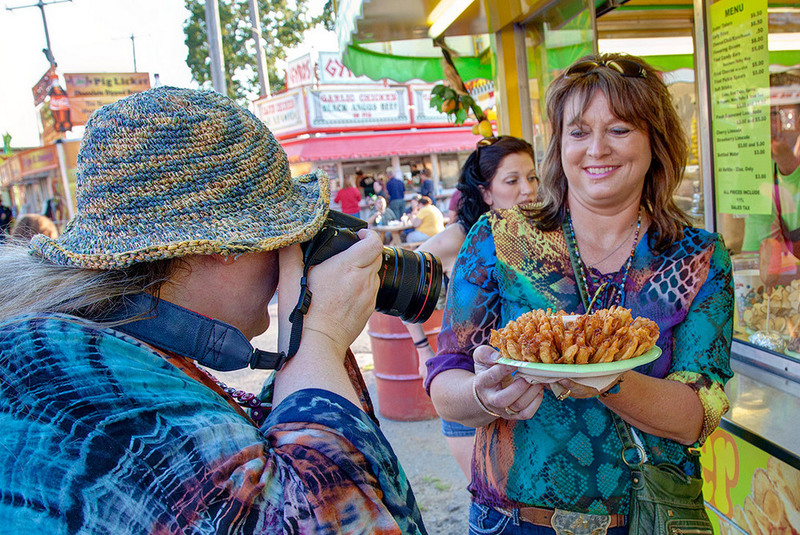 Check out all the foods we tried at the Arkansas State Fair Media Preview. 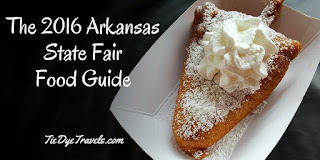 2016 Arkansas State Fair - What To Expect. Each year, thousands browse this very website to see what's new at the Arkansas State Fair when it comes to food. Let's see what's listed on the new menu items according to the press releases, things you may expect to find when the fair opens this Friday. 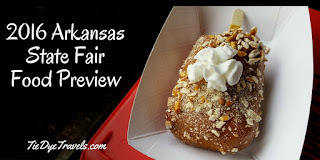 Labels: Arkansas State Fair, Arkansas State Fair food, Arkansas State Fair Food Guide, crazy food, fair food, state fair food, what are the new fair foods at the Arkansas State Fair? Number 17, or Welcome to Hideaway Pizza in North Little Rock. The famed Oklahoma pizzeria chain opens its first out-of-state location in North Little Rock with color, pizzaz and lovely eats. Tall Pines Inn in Eureka Springs Offers A Vintage Experience From The Golden Age of Motorcourt Travel. Want to enjoy an experience from the past? Hit the road and savor a weekend at the Tall Pines Inn, a restored historic cabin-style motorcourt hotel on the west side of Eureka Springs. 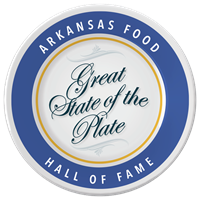 The Arkansas Food Hall of Fame - Celebrating the Great State of the Plate. It's time to recognize Arkansas's classic eateries, cooks and festivals with the celebration they deserve. 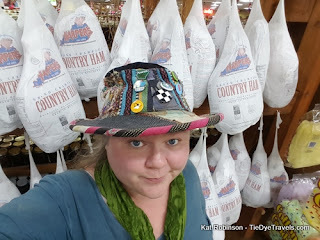 I'm thrilled to be able to tell you about the Arkansas Food Hall of Fame. Food Lovers' Dream Night - The AHA Culinary Classic (GIVEAWAY). What's the ultimate food experience in September? If you'd like to encounter the best of what Arkansas's top chefs have to offer, you need to attend the Arkansas Hospitality Association Culinary Classic. 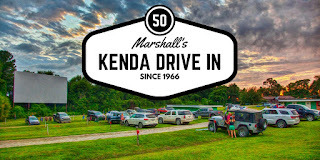 Find out when, where, and how you can win passes to go. 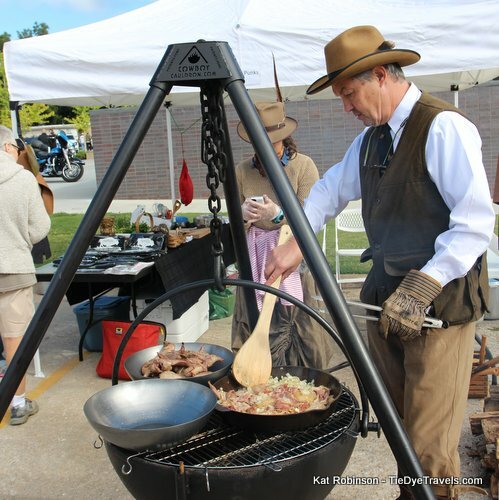 Squirrels A Whirl at World Championship Squirrel Cookoff in Bentonville. One of Arkansas’s strangest consumable items has to be squirrel. Grav and I check out the insanity and wonder of the World Championship Squirrel Cookoff in Bentonville. 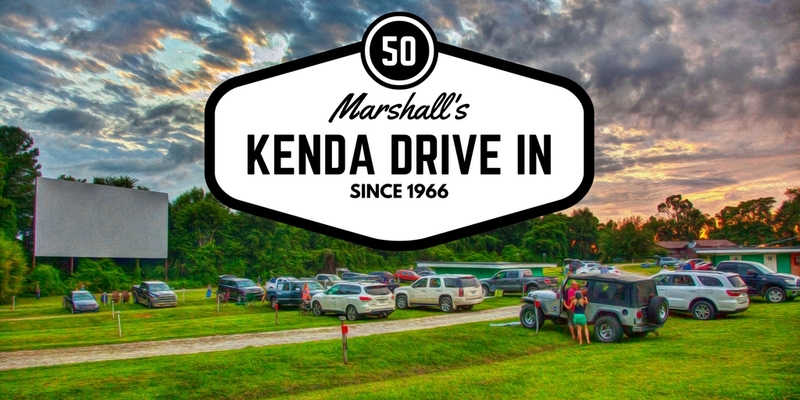 This year, the Kenda Drive In celebrates its 50th anniversary. Take a look inside Arkansas's only year-round drive in theater and learn about its history. Episode 1005, The One Where We Ate All The Chuy's. From time to time, I'm given the opportunity to try new menu items at a restaurant. 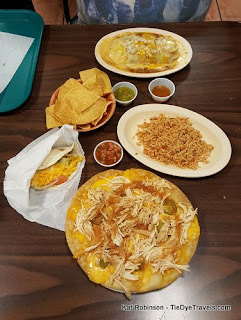 Today, Leif and Hunter and I went to sample the special Green Chile Festival menu at Chuy's, where we tried almost all of the things, and learned about Hatch green chiles and Chuy's Restaurant in the process. Meaty Expectations Delivered at Blacksheep Smokehouse and Grill in Yellville. 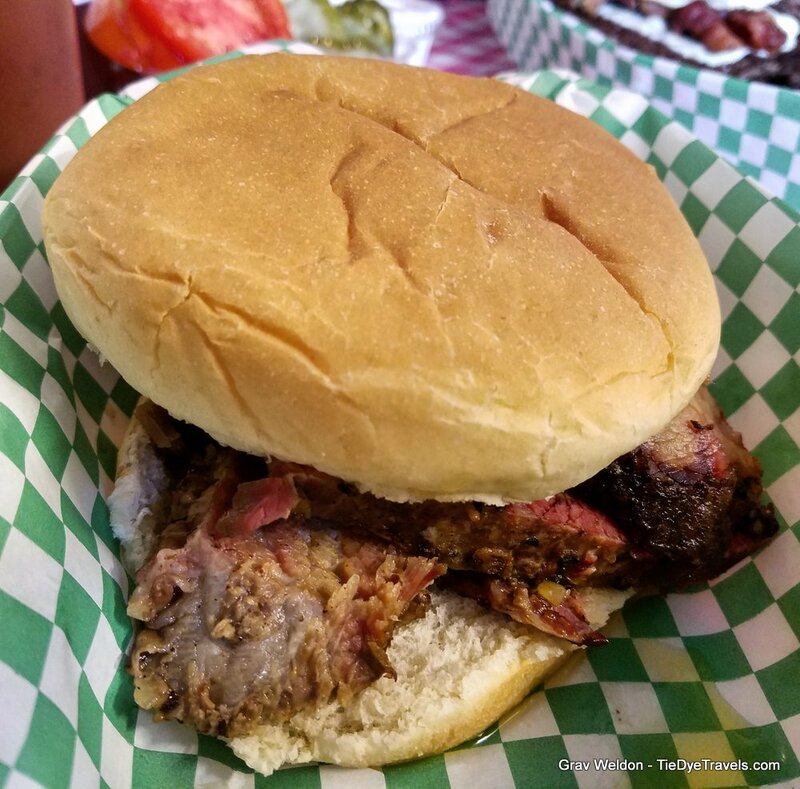 A relatively new barbecue joint in north Arkansas is handling its own quite well with barbecue and burgers worthy of renown. Let's take a look inside Blacksheep Smokehouse and Grill in Yellville. World Championship Cardboard Boat Races in Heber Springs - Are They Crazy? You have to admit, the idea of floating a boat made entirely of cardboard, duck tape and paint may sound just outrageously out there. But for 30 years, the folks in Heber Springs have gathered at Sandy Beach on Greers Ferry Lake just to do that - and to watch. Check out the video in my story. 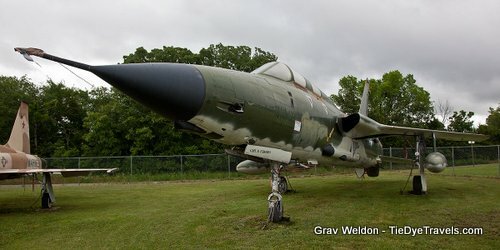 Eureka Springs' Aviation Cadet Museum Honors A Unique American Military Program. Love history? Have a veteran in the house? Head to a mountaintop field just east of Eureka Springs to see planes, trains and a lot of historical artifacts at the Aviation Cadet Museum and Train Museum. Look Inside The Old State House Museum in Little Rock. 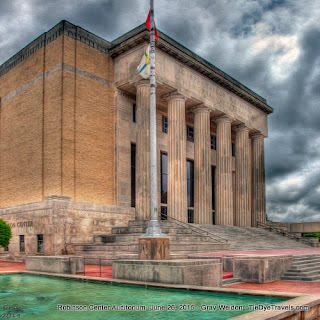 Summertime heat can hamper a lot of outdoor activities… which makes it the perfect time to enjoy a visit to the Old State House Museum in downtown Little Rock. Take a peek inside. Dreams Made Real at Dromborg Castle in Fayetteville. You can own your own castle in the Boston Mountains of the Ozarks - within minutes of downtown Fayetteville. Let's start at the top and wander down into Dromborg Castle. Sleep at Arkansas’s Oldest State Park Lodge - Mather Lodge at Petit Jean State Park. 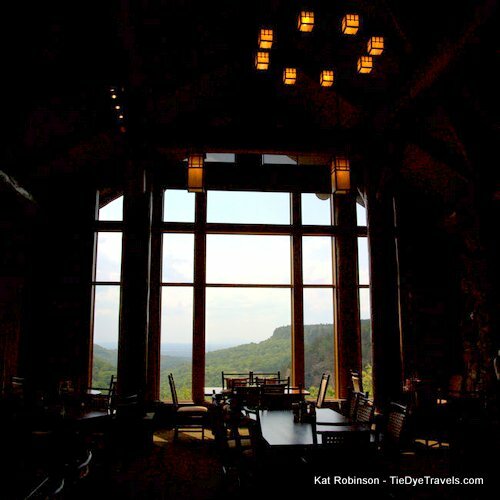 On the edge of the crest of Petit Jean Mountain near Morrilton, you’ll find one of the oldest places to stay in the state. Mather Lodge has recently been renovated, but it still retains much of the original charm that’s been bringing people up the mountain for generations. A-Frames In A Curve In The Road - Disconnected Escape at Little Switzerland Cabins near Jasper. Want to truly get away from it all? Forget your cell phone and escape to Little Switzerland Cabins, a trio of A-frame cottages along Scenic Arkansas Highway Seven north of Jasper. Tucked into a mountain curve, this throwback to a simpler age has been welcoming guests for more than a hundred years on this very plot. Catch Your Dinner and Eat It Too at DeVito's at Bear Creek Springs. 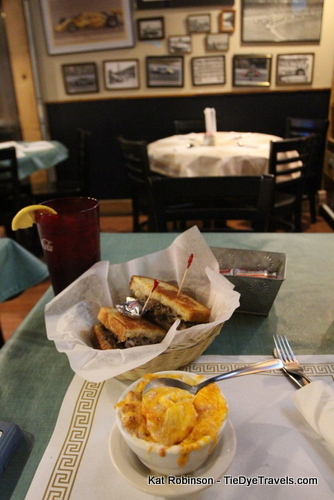 There are few places you can get your food as fresh as what you'll find at DeVito's Restaurant north of Harrison. Let me show you just how fresh that dinner can be. 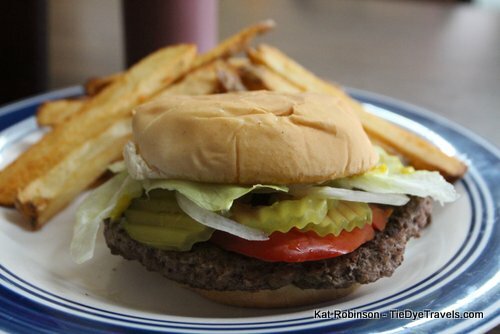 Americana Eats at Anne's Country Kitchen in Pine Bluff. If you’re looking for comfort food in Pine Bluff, head out to the west side of town and enjoy a delicious breakfast or lunch at Anne’s Country Kitchen. Love pie? Arkansas has more than its share of great pie places. No matter the part of the state you happen to be in, there’s a great pie ahead of you. 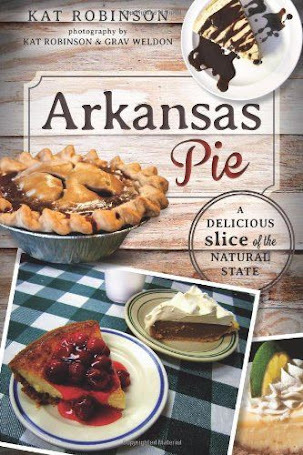 And if you're close to US Highway 64 in western Arkansas, you're in for a LOT of pie. 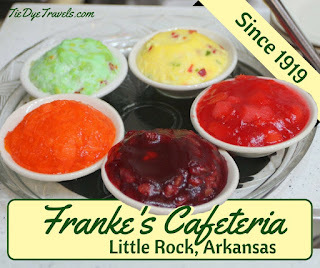 Classic Arkansas Eats at Arkansas's Oldest Cafeteria - Franke's in Little Rock. 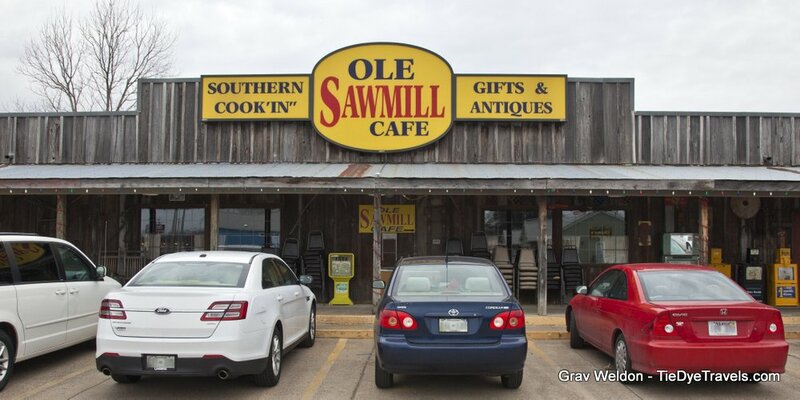 Any restaurant that’s passed the 75 year mark in Arkansas has to be something good. 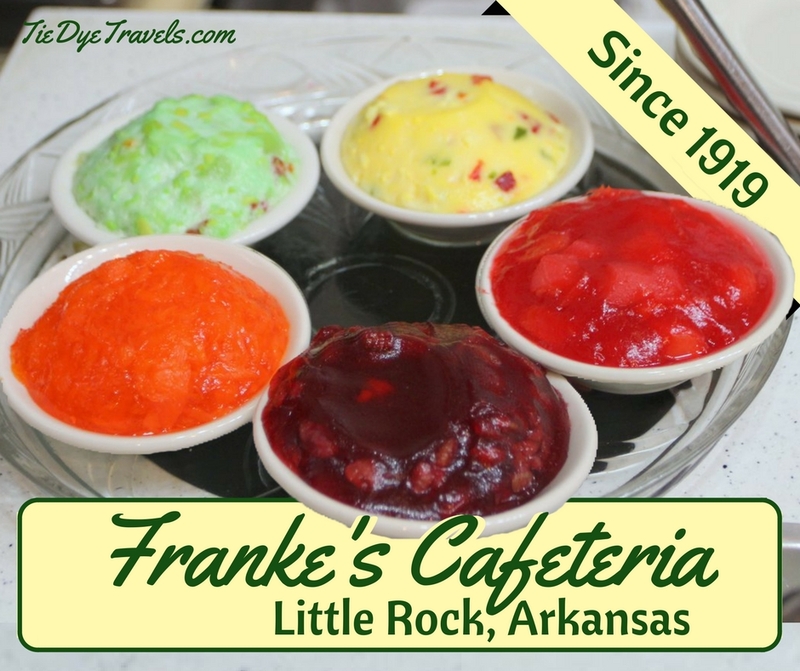 In Little Rock, you can find two restaurants owned by the same family that date back to a tradition 96 years in the making. Let's talk about Franke's. Most Arkansas restaurants serve sit-down meals in a location. Kris and Sam’s is best known for what people take away – lunch boxes and desserts that provide a highly satisfying alternative to make-it-yourself. Truly Overwhelming - Rader's Fabrics in Danville, Indiana. Drapery fabric? Rader's has that. Upholstery? Rader's has that. 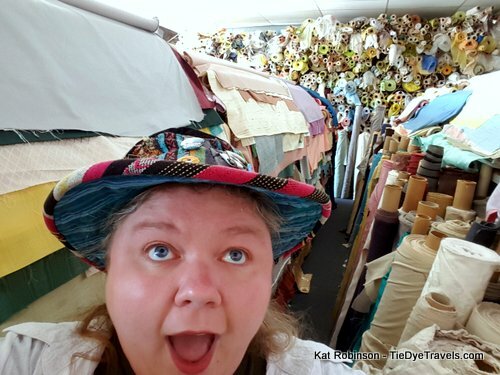 Padding, fringe, trim, lightweight and heavyweight fabrics and everything in-between in every color of the rainbow and even some God might not have intended... it's all in the stacks at Rader's Fabrics. Looking for a selection of Mexican dishes that’s reasonably priced and easily available? Riviera Maya offers a nice, thick selection of great dishes at three different Central Arkansas locations. A Walk In The Park at McCloud Nature Park in Hendricks County, Indiana. Hendricks County, Indiana offers a lot of great places to stay, play and dine. It also boasts a nature park where you can lose yourself in a wild natural prairie or woodland, and find a century-old bridge to cross. 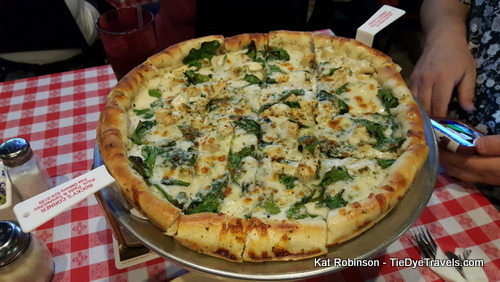 A Pizza and a Smile at Rocky's Corner in Hot Springs. Great food can be found across the street at Rocky’s Corner. 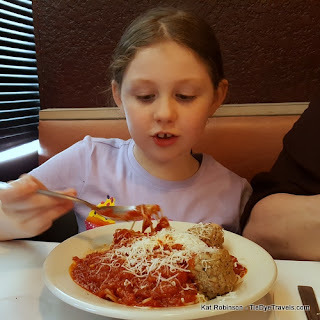 This longstanding Italian eatery has delighted residents and visitors alike for generations. Let's take a look. A Midwest Gem: The Royal Theater in Danville, Indiana. Love old cinemas? You'll find the Royal Theater on the square in downtown Danville, Indiana. Come take a look inside this restored movie house. The Catfish Hole - Remarkable Hush Puppies and Family Service in Alma. 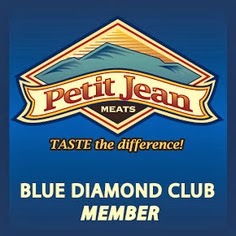 Care for some of the best hush puppies in the state? Sit down for dinner or lunch and share a full service of fish at The Catfish Hole in Alma. So Much Pasta at Roma Italian Restaurant in Jacksonville. Some Italian restaurants offer truly tasty food. Some offer gigantic portions. For Roma Italian Restaurant in Jacksonville, both apply. Take a look at what we dined on during our most recent visit. 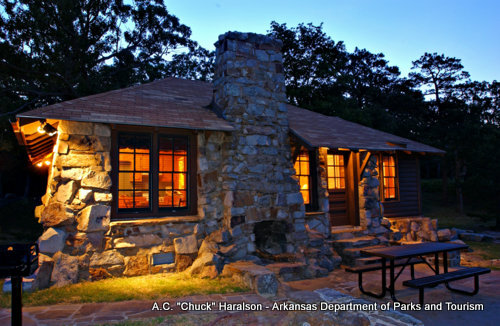 If you've seen an advertisement for Arkansas's amazing state park cabins, you've seen this place. Take a look inside the magical Cabin 61 at Mount Nebo State Park. Road Eats: Hot Pot Aug and More at Ralph's Great Divide in Indianapolis. I'll go to great lengths to check out a good recommendation. 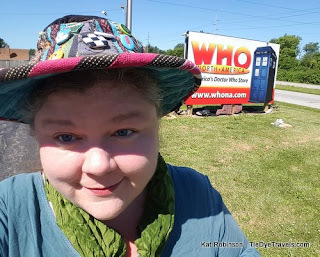 That's how I ended up making a side trip to Indianapolis, just to try a slice of pie. But I wasn't leaving Ralph's Great Divide without a good meal. Thankfully, this little spot by the interstate was a great dive to enjoy. Float Up Service at Fisherman's Wharf in Hot Springs. 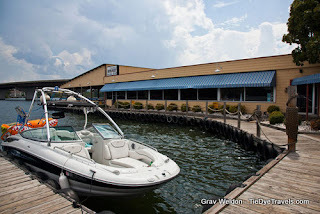 Enjoying the great weather on Lake Hamilton? Want a bite to eat? Head over to the east side of the Highway 7 bridge and pull up and dock at Fisherman’s Wharf.